The drive to Cappadocia (Our next stop after Pamukkale) was an extremely long drive. I can't exactly remember how many hours it took,but maybe something like 8 or 9? But it wasn't as bad as I thought it would be, I had my Apple product as a companion. We arrived around evening, I SAW SNOW FOR THE VERY FIRST TIME IN MY LIFE. Okay, that's false, but I've never actually seen a city covered with snow...Ok I have but that was when I was 2 and a half years old in Washington D.C, but how are you supposed to remember something 13 years ago? Anyway, we stayed in Cappadocia for two nights. I felt like singing 'Mistletoe' by Justin Bieber (No I do not like Justin Bieber. But I like the song I have to admit) because there was so much snow and the Christmas tree was still up! 'I should be playing in the winter snow,but Imma be inside the warm hotel. I actually kind of wish it could snow for a few days in winter in Melb. I could take tons of photos! It's really pretty and exciting to see a city covered with a blanket with snow. But of course, it was really cold. Dinner was surprisingly good, I got hooked on to these flat breads with toppings that taste amazing and it was actually steaming hot. That was nice for a change. I was eating myself with dessert. I go crazy with dessert at buffets, it's not even funny. I inherited the 'sweet tooth' from my mommaa! Next morning, well I can proudly say that I've been on a hot air balloon! It was an amazing experience. It wasn't as scary as I thought it'd be (I have a fear of heights), it was really calm and not that cold if you wore the right clothing. The views of Cappadocia are really pretty, the only thing I'd recommend is to go in warmer seasons. Typically, autumn or spring is your best choice. Winter is slightly too cold, most of the city is covered with snow so you can't exactly see everything. I actually thought there'd be only a few people on one hot air balloon like how you see in movies, but they actually fit like 30 people into these tiny compartments. I wish I had taken my Samsung hybrid,but my dad said I could only take my video camera since it's easier. Which I agree,but I could've taken some pretty nice pictures! There were some photographers and they sold some of the photos. So I bought one. My parents actually didn't go. My mum thought it would be too cold. Anyway, the whole tour group got dropped off at some random place which I felt was colder than up there. Celebrated with sparkling juice LOL. Oh, and they spelt my name right. Not. My piano teacher was like "That's even worse than my spelling!" because she has taken all these years to finally spell my name right ehehe! My dad said "Keep it like that! It's like your Turkish name!!!" Later in the day, we travelled to all sorts of caves. Cappadocia has really interesting scenery, I don't think you'd ever find a place similar to it besides Disneyland. What I mean is, some of the caves looks like what you'd find in those yeti rollercoaster rides in Disneyland, except Disneyland's are man-made, but Cappadocia isn't. Lots of formation over a very long time. The amazing thing about Cappadocia is how the Christians hid there for so long. Christianity was illegal a while back, so they went to Cappadocia to hide. We were taken to this Turkish carpet shop and yeah. Lots of carpets, silk, not silk etc. Hard work. Very,very pretty but not cheap! Some carpets were selling for $5000 USD!! Outrageous! I could buy a couple of shoes, clothes and stuff you know? OH WAIT I CAN EVEN BUY A PLANE TICKET. I rarely eat French food, it's pretty much once in a blue moon. Unless you count macarons. I'd just like to point out that it's macarons not macaroons. 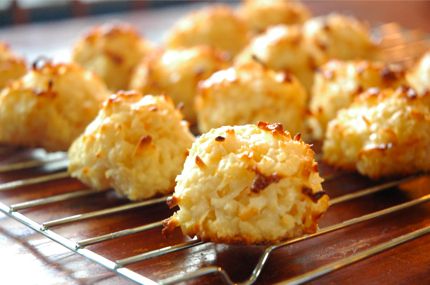 Macaroons are actually coconut kind of biscuits, completely different to the classic macaron which is made out of a a meringue shell with some kind of cream in between. It's delicious. I myself however got the term wrong when I started eating macarons. I have an obsession with macarons. So French restaurants are pretty much only on special occasions. My oldest sister took the whole family and I to a French restaurant, Bistro Thierry, a restaurant in Toorak (Near the city) for lunch! The only thing I hate about going to these nice restaurants, is that they are all the way in the city and I dislike driving or taking a train there. I don't know why. The restaurant's food is certainly very tasty, I loved it! Creds to my dad on this picture! My dad and my second sister ate oysters as their entrees (They had entree + main while my mum, oldest sister and I had main + dessert). I ate beef bourguignon, which is beef braised with red wine! It's one of those classic, traditional French dishes. My first time trying it in fact. The beef just melts into your mouth so nicely, and it's accompanied with mash potato, bacon, carrot and a sauce. My whole family except for my mum ate it. My mum had an eye fillet steak ! It's a minced steak though. It taste good, but I wouldn't order that from the menu since it's minced. I would've probably gotten a minute steak? Had a monstrous dinner with my sister and her bf. Went out to Zest 82 (Upstairs though)in Kingsway and I ate the chicken burger. The meal portions there are super uber big, just like the past few times I've been there. Ooh the chicken burger is delicious! Grilled chicken, avocado, bacon, tomato, spinach.Huge meal. Accompanied with crispy chips. However, the service there is pretty horrible. Fitness tests in school have been going really great! I was so surprised to be the last girl running the beep test. I never expected that, ever. Maybe perhaps because I've been jogging every Sunday? Anyway, I managed to get 7.2 which I am extremely proud of. I would normally get 5 or 6, and in primary school 4.5, and the average for girls my age is 5! So my dad tells me that some of my posts are a little bit too long because some readers probably would skim it through, which is quite true. So I'll try to shorten some posts. But, I have to break up posts about my trip to Turkey because I went to so many places! And I love sharing photos, so please excuse me for uploading like a billion of them. The next day after Pergamum, we went to Ephesus. But first, we went to a leather shop. It's a huge leather shop, pretty grand! They even put on a fashion show for us. They had a lot of leather jackets, lambskin and even baby lambskin which feels like silk. It feels and looks gorgeous but the price isn't gorgeous at all. But after all, it is leather isn't it? Writing about Ephesus makes me feel nostalgic. I really loved visiting Ephesus. The things I saw, I mean it's a magnificent ancient city, better than expected. Most ancient sites has Greek and Roman influence, so this city had a lot of that. Bill, our tourist guide said that you can tell what is Roman which are arches and Greek which are columns. The theatre is amazing. It is one huge theatre. I actually saw this on the net before I went on my trip. The Celsus library is one of the most unique and gorgeous ancient structures I have ever seen. Well, at least the prettiest library I've ever seen. We managed to drive up to Pamukkale after lunch (Which was fish which was surprisingly delicious). Pamukkale means 'cotton castle' in Turkish. The place has terraces and hot springs. It's a natural sight, and it's beyond beautiful. While walking on the path, I heard one of the aunties from the tour group say "Now we know why God created the world!" It seems pretty magical to me, I've never seen anything like that! I felt quite blessed to be able to see such a site like this, it's kind of one of those phases and moments you have in your life (Yet I'm only a teenager) and you're just so appreciative of what you have. Not to say that I wasn't before, but I felt even more blessed. OH we passed an ancient city, Hierapolis. We stayed at a hotel which had a a thermal pool WHICH I REALLY WANTED TO GO TO, but my dad thought it was a bit too troublesome. Poop. School's been going pretty great. I quite like my teachers... Much better compared to last year. Believe it or not, I'm actually looking forward to all of my subjects except for drama, health and sewing. Drama is rather (REALLY) awkward, health well, I never really liked health and sewing? Sewing is fun but I'm not particularly good at it. I'm nervous about my fitness tests in P.E. I have the beep test (This running test. Tests your stamina), 1.6 km run, flexibility test and sit ups test. MY SECOND DAY IN TURKEY : We visited two ancient sites. I think it must've been Christmas day? Turkey doesn't celebrate Christmas since 99% of the people are Muslim, so it's more of a commercial thing and it's just like another day. But even if it's considered as 'commercial', in Istanbul, I didn't see a lot of decorations. I thought Istanbul would have a lot of decorations since it's a major city, but nope. I was kind of disappointed with the Christmas I had, I mean I didn't have any big dinner sort of thing. it was just at a Turkish buffet. Oh and no, I didn't eat turkey in Turkey! I'd also like to add on to about the food. I was honestly just so disappointed with the food, I was expecting a lot more from Turkish cuisine. But it was the same like I said in the previous place. BORING and you get sick of it. I think the tour group should've given some free time so you could pick where to eat for lunch or dinner. That was the case with Reliance when I went to South-Eastern Europe with my parents & my mum's two sisters, Yi Ma and Yi Yi. We had some meals provided by the tour, then we got free time to explore around and choose a restaurant to eat at. This tour, we didn't get any choice. My dad suggested that maybe it was the fact that we were in Turkey. Well, couldn't they have just dropped us off and recommend a restaurant? Or let us order whatever we want instead of the set meals. Eeyer. So before I get off topic, that morning, we visited the ruins of Troy. I was actually really excited to visit the ruins of Troy. Before I wasn't aware that Troy was in Turkey. I always thought it was in Greece since movies portray it in Greece with you know all those wooden horses and trojans, blahblahblah. But it's actually all Turkish. According to our tourist guide, Bill, the Turks were really angry when they portrayed the location in Greece in the movie Troy with Brad Pitt lol! There was a really big wooden horse. I climbed up , the stairs were very steep. But frankly, I think that the ruins of Troy really isn't that great. It wasn't up to my expectations. I guess it's because everything is everywhere at each site, and it's kind of hard to imagine what was what. You just see a lot of old rocks and bricks. OH ON THE WAY (I think) we were driving around this beautiful mountain (Reminded me of Croatia), and we saw a GREEK ISLAND from far! Lesbos! The word 'lesbian' is actually derived from the name of that island. I want to visit Greece one day. Especially Santorini. We visited another ancient site, Pergamum (Or Pergamon. The pronunciation is Pergamon). We visited the Asclepion of Pergamum which was a medical healing centre back in the ancient days. Methods of treatment included praying, sun and water baths, exercises, walking bare-footed, listening to music, drug therapy and giving blood, etc. There was also a stream so the water was nice to listen to. I also learned that the theory about snakes healing people. Our tourist guide said that a man who was dying, was so sick and wanted to kill himself. So he stumbled across two snakes, thinking that they could bite them and he could die. But instead, he healed! The Asclepion of Pergamum is really beautiful, I loved visiting that place. There is a library, but what is left isn't that much, so kind of hard to imagine what it would've looked like. The Asclepion of Pergamum also has a big theatre! The theatre is stunning. Bill said that it's a 'small' theatre, and I didn't understand what he meant but later on when I went to Ephesus, I understood why since I saw the theatre there. The theatre in the Asclepion of Pergamum can hold 5,000 people. The one in Ephesus can hold up to 20,000 people! However, in my opinion, I think the one in the healing centre looks prettier and more unique. Everything is preserved well! Found in 4th century BC. I really admire ancient things. Dinner was pretty average. I think it was at a buffet? I'm not quite sure. I'm posting about Turkey this time! I went to Turkey with my parents in late December. I left about 2 days before Christmas. Turkey is probably one of the most interesting places I've been to besides south-eastern Europe. You see, I like ancient sites and history (I don't understand why a lot people don't like history..). Turkey has a lot of history, seriously. And a lot of ancient sites, probably the most I've ever seen. According to our tour guide, he said that Turkey has even more ancient artifacts , places more than Greece (I was surprised to hear that). I expected Turkey to be 'great' but it was greater than expected! My dad was left with a really good impression and loved the places we visited. He also likes history. I would say Turkey is an 'exotic' place to visit, it's not your typical European country with lots of cathedrals and in some, lots of castles. Turkey is located on two continents, Europe and Asia. But only 3% is on the European side. It took 11 hours from KL to Istanbul (Which is not the capital. I was surprised to hear that in humanities last year.) AND I GOT A HUGE SHOCK ABOUT HOW COLD IT WAS. It was winter ( Actually it's the last month of winter there now. My dad got confused and thought I meant it was the last month of winter when I went, but I mean it was the first month of winter there but now it is the last month of winter) and it was raining which made the weather even worse... I didn't really expect such coldness. But the next few days weren't so cold. I wore multiple layers, gloves, scarf and there was sun! It's not so bad when you're wearing enough clothing and there's the sun. We always travel with Malaysian tours so the tour company we travelled with was GTT. Never taken GTT before, had always taken Reliance from the past few tours (Japan, Europe) which had been good experiences. I would say Reliance is better. Our tour group leader was this lady, Stella. We had a local tourist guide, Bill (Well his real name is a really complicated name that we Asians couldn't pronounce or remember.) I love his accent, it's like "It izz veeery coldd outsidee". He's quite funny too ! Since we arrived in the morning, we already started the tour. We visited Hagia Sophia and the Blue mosque which are pretty impressive. I have to say though, they both look REALLY alike except for the colours. Hagia Sophia used to be a church. Our tour guide mentioned about Muslims in Turkey... According to him, Turkey is 99% Muslim. But, he stressed that it's not a 'Muslim country' meaning that there aren't Muslim laws, you practice being a Muslim by heart. Not everyone fasts during Ramadan or not everyone doesn't eat pork or drink alcohol, it's not as strict as other Muslim countries around the world. I found it quite interesting to hear, I didn't expect the country to be practising the religion 'by heart' instead of by force by the law. Those are quite good values, not having to do it by force. But then again, of course some people will be lazy to practice the religion. Just press play (If it doesn't start automatically). I have now started using the Picasa web albums slideshows, suggested by Ku Zhang! We also went to some place um I can't really remember lol. All I remember is that we went inside these kind of like museum places and they had all sorts of stuff in it. And I had a hot chocolate. It was so cold, I was so glad to have something warm.